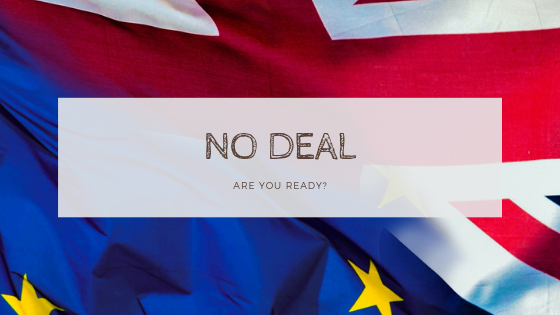 Given the volume and complexity of the advice and guidance on a ‘no deal’ scenario recently issued by the Government, BRPPA has brought together the current ‘no deal’ information most relevant to the rubber and polyurethane manufacturing sector. Any business using chemicals (even if it does do not make them or trade in them) needs to take action to prepare for the possibility of the UK leaving the EU without a deal. You may take on new regulatory responsibility you did not previously have. The Government’s Business Department has issued two step-by-step guides to help importers and exporters prepare for a no deal outcome. An official online tool – Trade Tariffs Look-up Tool – aims to help companies with aspects of trade tariffs in the event of a no deal outcome. It provides a guide to commodity codes, duty, and VAT as well as a link to assist in the classification of goods. Just before Christmas HMRC published a revised Partnership Pack which has specific advice to businesses on what planning is needed now to carry on importing and exporting in the event of a no deal. The bulk of the pack promotes the following actions/online guides which you can access here. As a member of the EU, the UK participates in around 40 free trade agreements with over 70 countries. Businesses in the UK, EU and partner countries receive preferential market opportunities through these free trade agreements. Read our full guide here. The Government has issued a White Paper and provided further details of its planned skills-based immigration system that ends the free movement of EU citizens to the UK. The new system includes: a route for skilled and medium-skilled workers open to all nationalities (with no cap on numbers); the abolition of the resident labour market test; a time-limited route for temporary short-term workers, including seasonal low-skilled workers; and an extension to the post-study period for international students. In the event of a no deal, UK businesses will need to ensure they continue to be compliant with data protection law. It is important for businesses to review whether they would be affected. For those that would be affected, early action is advised as changes may take some time to implement. For further information about Data Protection read our guide here. The situation is immensely complicated. If you have any queries please do not hesitate to get in touch and we shall endeavour to get the answers through the contacts we have with Government Departments.